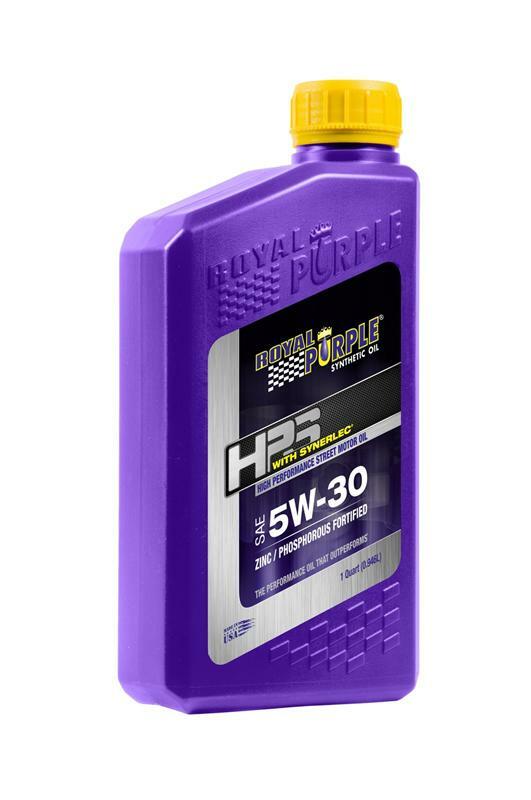 Royal Purple HPS Series Motor Oil UNIVERSAL - White Smoke Motorsports LLC - "The Future of Performance"
Royal Purple’s HPS is fortified with a high level of zinc/phosphorus anti-wear additive and Royal Purple’s proprietary Synerlec® additive technology. This unique blend enables HPS to outperform leading high performance synthetic oils and conventional lubricants for both gasoline and diesel engines. Available viscosities include: 5W-20, 5W-30, 10W-30, 10W-40 and 20W-50. Royal Purple HPS Series of motor oil responds to increased pressure with increased viscosity. Improved sealing between the piston ring and cylinder wall maximizes horsepower and torque. Its advanced additive technologies improve the condition of metal-to-metal contact under severe load. The advantages are clear.